Not all gardening needs to be done outside. Creating a window sill herb garden is easy and creates a nice look for the kitchen or dining room – and you don’t have to walk far when your recipe calls for a few basil leaves. One of the most important parts of growing your own herbs is that, in a case where grocery stores are shut down, or your food is limited in taste or textures, herbs can be a great way to add flavors and that little bit of extra “zing” to make a bland meal more appetizing. Herbs tend to be hardy but each of them has their own requirements for growing well indoors. Here are a few of the more popular indoor herbs. Let’s start with the obvious. 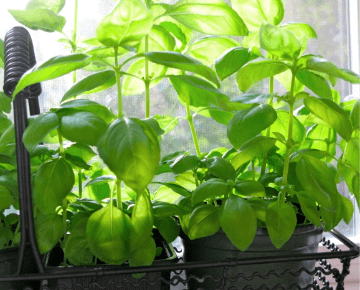 Basil is a very popular herb and will grow incredibly well in a window sill garden. 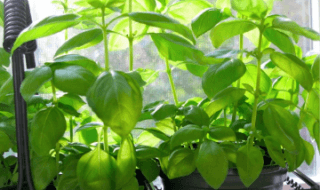 The main thing with basil is to make sure you put them in a south-facing window. These herbs love the sun! There are a few steps required if you plan on growing chives indoors. First, you will need to take a handful from your outdoor garden at the end of the season. Leave them out until the leaves start dying back. Once winter rolls around, bring them into your basement or another cool, dark place. After a few days, they can come upstairs and be placed in the brightest window you have. Your south-facing windows are going to get crowded. Parsley is another herb that loves the sun and as such, your basil plant will need to share the light. If you don’t have the room, parsley will slowly grow in an east or west facing window. You can grow parsley from seed or an existing shoot. Bay is a perennial herb that tends to grow very well in small containers all year long. Bay often works well in a pot with east or west-facing window. But please make sure your Bay does not get crowded by other herbs. Bay needs good air circulation to remain healthy. Your best bet is to start with a tip cutting from an outdoor oregano plant. Place the pot in a south-facing window. Oregano is fairly easy to grow as long as it gets a sunny window and is pinched back to keep it bushy. Use the clippings in sauces and stews, or dry the sprigs for later. Thyme is not a terribly difficult herb to grow. In outdoor gardens, Thyme is frequently used in xeriscaping or hot, dry places where other herbs or plants might have more trouble thriving. Thyme is a hardy herb, perfect for USDA zones 4 to 9, although it can be grown in Zone 10 in the winter months. Thyme requires consistent bright light and be sure it does not attract pests. Thyme is prone to whiteflies and mealy bugs. Use neem oil where necessary, being careful to follow the label on the bottle. If you’re looking into creating a window sill herb garden at home, here are some window sill garden kits we found that you may like. This windowsill herb garden kit includes the most popular gourmet herbs such as basil, chives, cilantro, dill, lavender, oregano, parsley, rosemary, sage, and thyme. The kit also contains 10 coconut coir pots which are pre-labeled, 10 coconut coir soil disks, 2 pre-molded raised tray for water drainage, and a printed full-color 16-page planting guide. The seeds it includes are very easy to grow. You just have to plant the seed, water them, and watch them grow day by day. 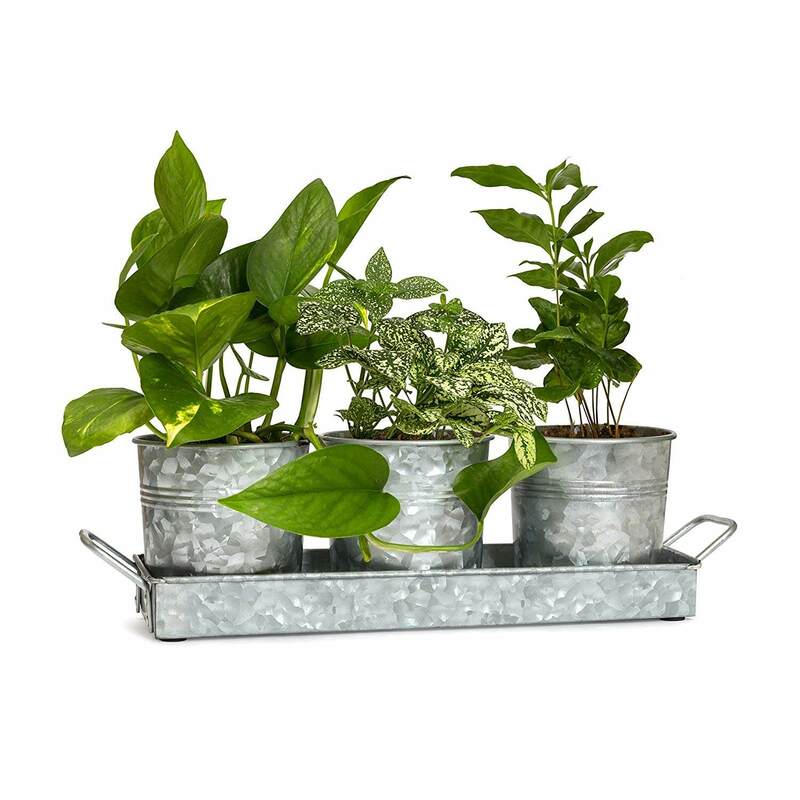 This stylish and functional windowsill herb planter set will add a touch of vintage and luxury to your home. They are very durable and heavy-galvanized steel that is sturdy and weather resistant. This is a great windowsill planter that is ideal for herbs, succulents, and even flowers. This window garden herb trio kit will enable you to grow a kitchen garden where you can get fresh herbs. It also includes 3 cup of fiber soil to help your plants’ roots breathe and your plants flourish. There are four easy steps to follow for this herb trio kit. First is you need to hydrate first the fiber soil in dish water. The, plant the seeds in the soil. After that, germinate the seed by putting a plastic bag over the pot. Lastly, make sure that the seeds stay moist, then water and fertilize them as needed. After some time, you will be able to have fresh herbs to use as ingredients. This herb garden starter set includes basil, oregano, and parsley seeds. It also contains truly-eco-friendly ceramic pots, wood base, soil peat moss, and an instruction manual. It is also compatible with self-watering and LED herb and plant kits. This is a great kit especially when you’re just starting with your windowsill herb garden. With this herb garden starter kit, you will be able to grow fresh parsley, cilantro, chive, and basil in reusable bamboo pots. It also includes water activated, compact soil discs for your seeds. They will expand up to 9 times their size. The soil will provide your seeds with essential nutrients for faster germination and enhanced plant growth. All of the seeds included in this kit are non-GMO, non-hybrid heirloom seeds. It is also a great gift for new homeowners, apartment dwellers, or for newbie gardeners. This windowsill greenhouse starter kit includes a clear dome to trap in humidity and heat, helping the seeds germinate quicker. It has 36mm pellets and has the ability to grow 24 plants. It is indeed a great addition to your windowsill because it is a space saver. This is a versatile starter kit that is perfect for herbs, succulents, and flowers. It comes with 2 elegant mason jars that can lighten up any home or garden, 2 stainless steel drainage discs, and 2 randomly selected herb seed packets. It contains 100% organic coconut peat and non-GMO seeds that ensures you will get the healthiest ingredients for your dining room. It also includes 6 peat discs that can expand up to 7 times their size when watered. This is an ideal gift for beginner gardeners. 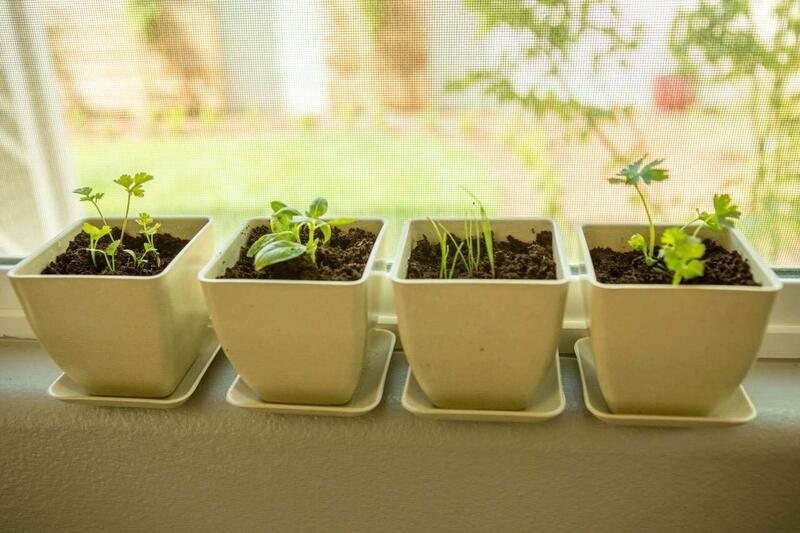 Aside from using your yard to plant different herbs and trees, you can also place plants on your windowsills. This is beneficial especially to those who live in small spaces or apartments. It can also help us save money and time because instead of buying these herbs from stores, we just need to get some from our windowsill garden.